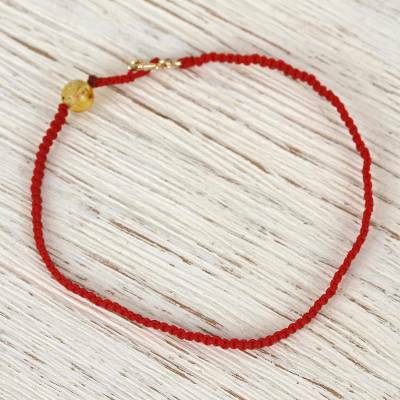 Gold Accented Amber Macrame Pendant Bracelet from Mexico, "Nautical Beauty"
Carry a nautical beauty wherever you go with this bracelet from Mexico. Designed by Paola Lopez, this accessory circles the wrist with hand-braided macrame cord in red. A natural amber pendant and a stainless steel anchor clasp plated in 14k gold complete this accessory.